Halloween just wouldn't be the same without a witch or two. 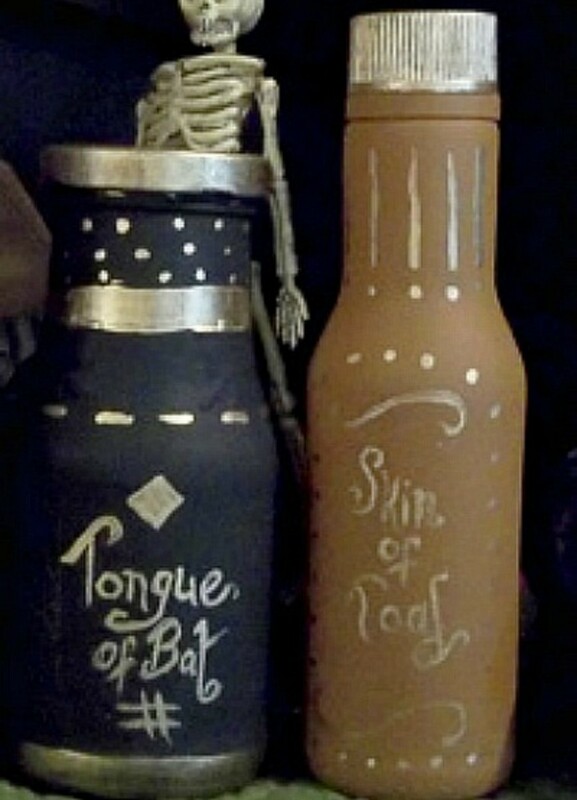 Learn how to make potion bottles that would make any Halloween witch proud to use for her brew. The labels on these bottles are painted instead of glue on labels. "Double, double toil and trouble; Fire burn and cauldron bubble." 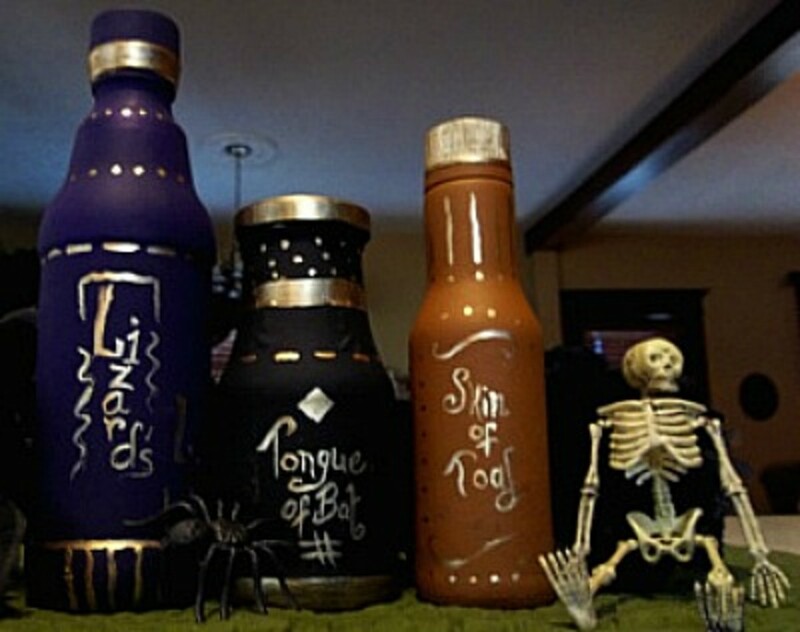 Add Witch's Potion Bottles to your Halloween decorations and cast a spell on some glass bottles by changing them into containers of witch's brew. 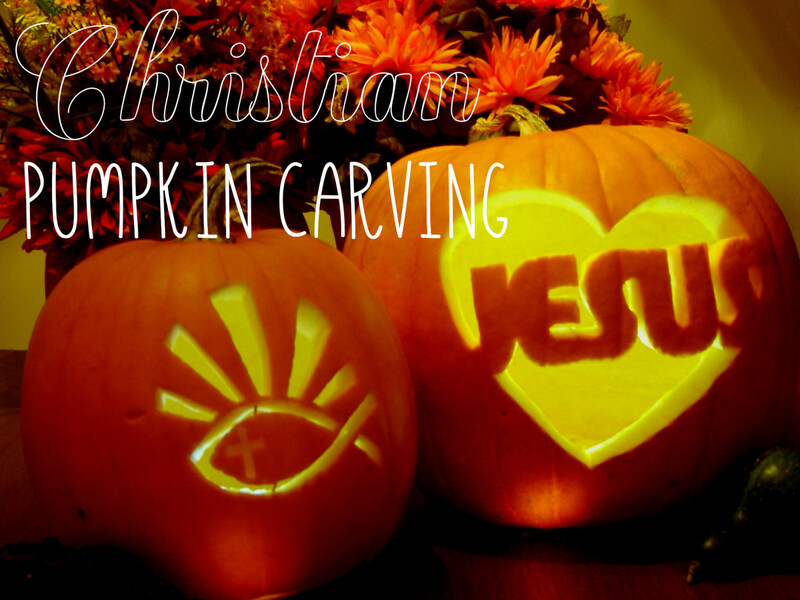 Make some magic by stirring up your own version of this craft. 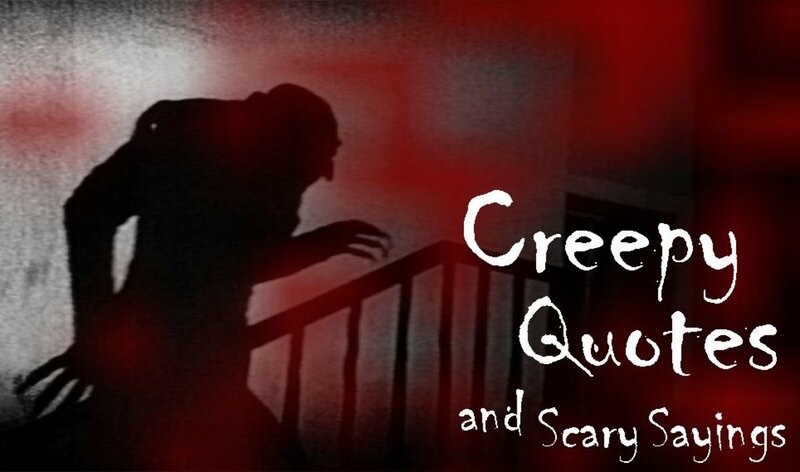 You'll find containers to hold lizard legs, tongue of bat and skin of toad, in your refrigerator or pantry. I used a rice vinegar bottle, a LaChoy sweet and sour sauce bottle and a soy sauce bottle. 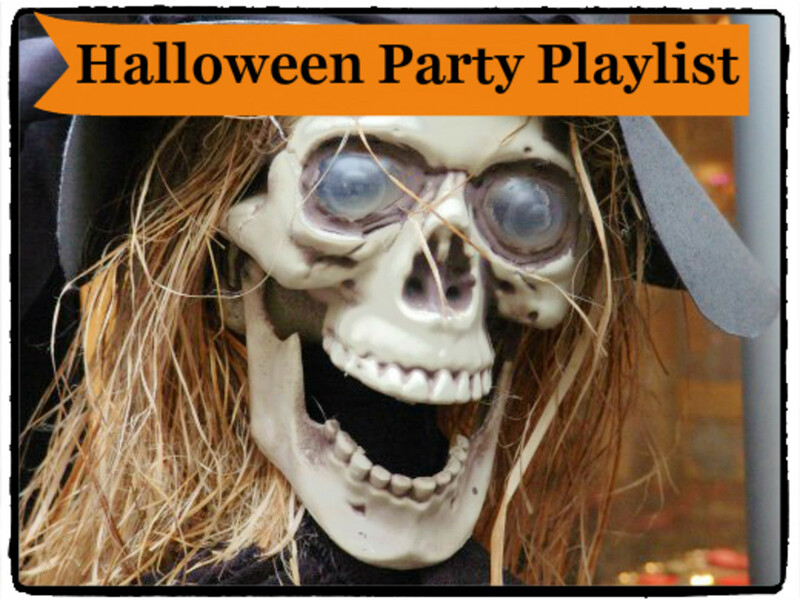 They're as easy to make as saying, "Hocus Pocus!" 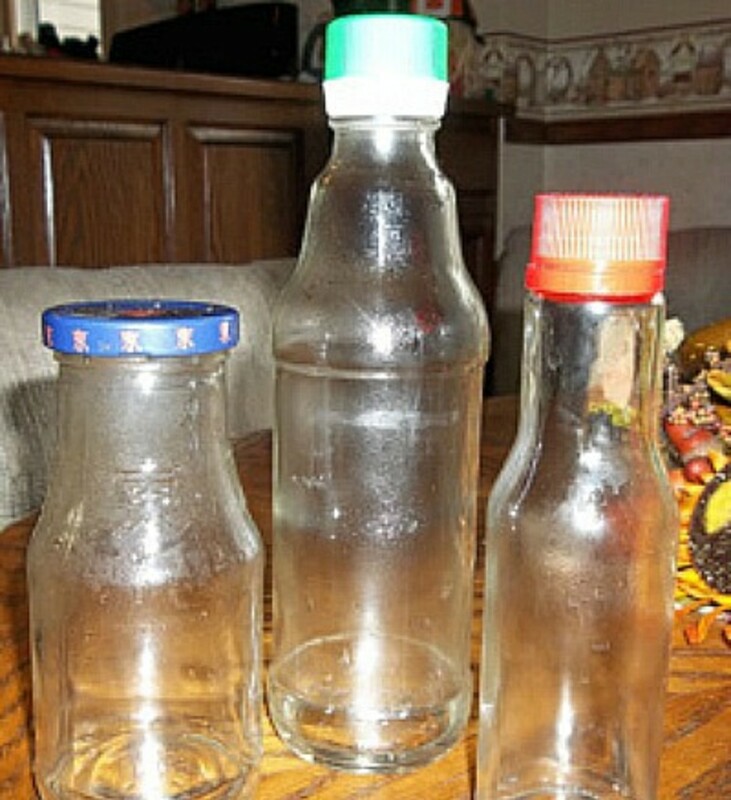 Wash and remove the labels from three glass bottles. Give the glass bottles two or three coats of paint. Let dry between coats. 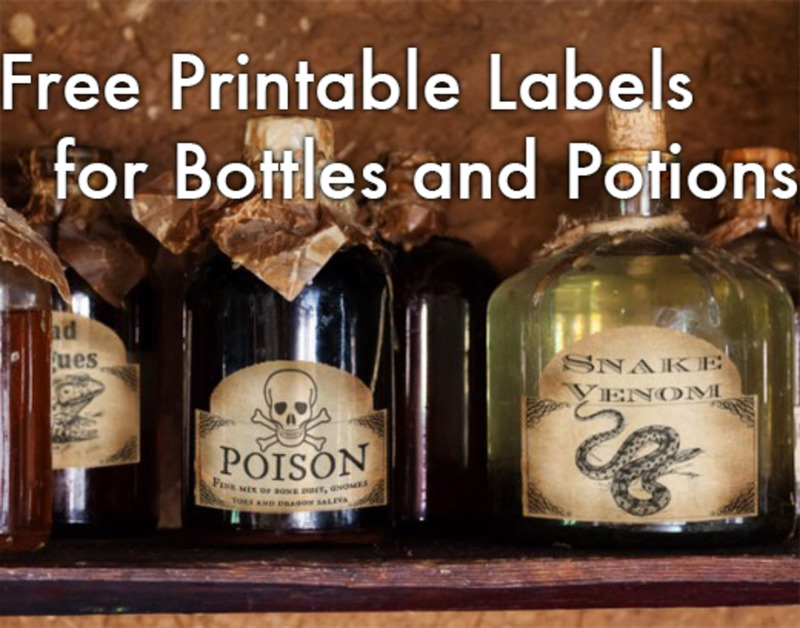 Print out the label pattern or draw labels and, using tracing paper, position and copy onto the painted bottles. Use the #8 shader and #3 round brushes to paint the lids and bands around the bottles. 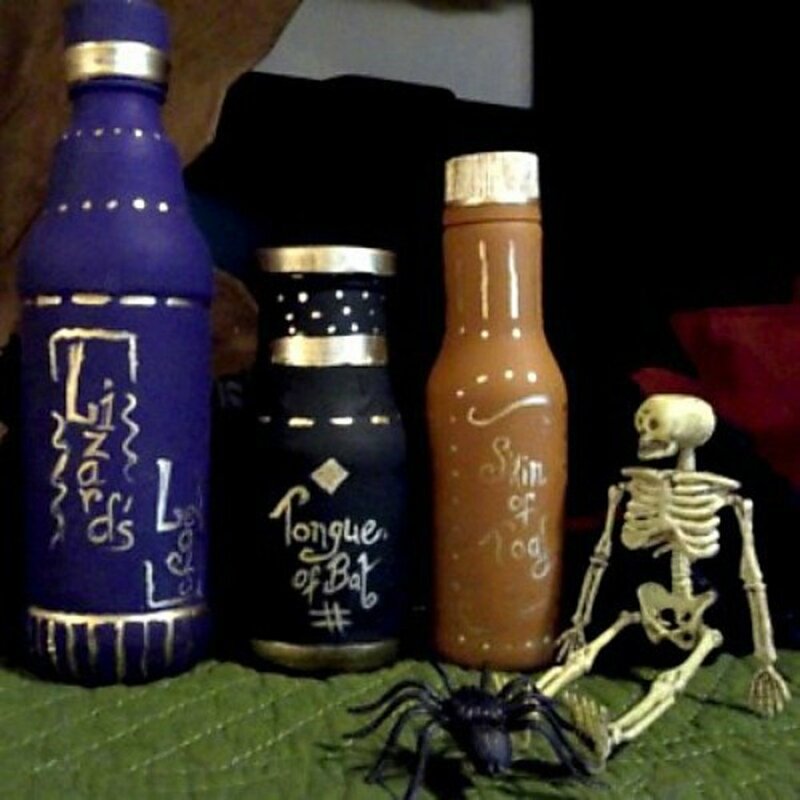 Use the #0 round brush and gold paint to write the words and apply dots to the bottles. Spray with matte, satin or gloss finish sealer. I'm casting a spell..... leave a message.